It's much less expensive and a whole lot easier to install than other solutions we've tried. Let me start with a confession: I’ve never reviewed an outlet cover before. 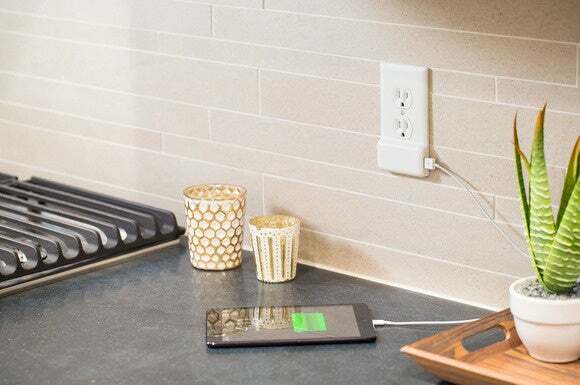 The $20 SnapPower Charger, however, is not a typical outlet cover: In addition to covering a standard electrical outlet, the SnapPower Charger provides one USB charging port that can power pretty much any phone or tablet. USB outlets are not a new invention—we reviewed the Power2U USB charger outlet in August—but the SnapPower's main selling point is that it’s just a cover: You don’t need to remove and replace the entire outlet or touch any wiring. The SnapPower draws electricity from the outlet’s existing side screws through a pair of protruding prongs. So far, I’ve been satisfied with how the SnapPower Charger works. But whether you should actually buy one really depends on your battery-charging needs. Although the SnapPower Charger doesn’t require any rewiring, you’re still dealing with an outlet, and the product’s manual is very clear in stating that failure to follow instructions could kill you. You’ll first need to take a trip to the circuit breaker and cut the electricity to any outlet you’re planning to work with. Before unscrewing your existing cover, you’ll also want to plug a device into the outlet to make sure it’s not drawing any power. Slipping a pair of prongs over an outlet’s side screws draws power for the USB port. Once you’re certain the power is off, installing the SnapPower Charger is pretty easy. A typical outlet has a pair of metal screws on each side of the receptacles, just above and below the midpoint. 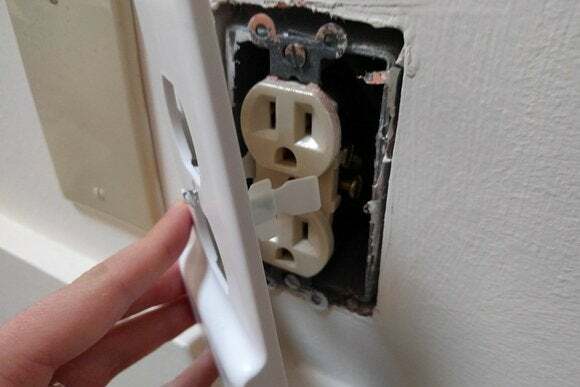 With a little finagling, you can slide both power prongs around the screws while lining up the outlet receptacles with the cutouts on the cover. Once everything’s in place, use a flathead screwdriver to fasten the cover to the wall, and turn the circuit breakers back on. Don't miss our reviews of the SnapPower Guidelight and Safelight. While my setup was simple, SnapPower does warn of some trickier scenarios: Insufficient clearance around the drywall, residual drywall mud, excess wires, or a poorly centered outlet are all grounds for getting an electrician involved, which sort of defeats the purpose. Some outlet types are also incompatible, including GFCI (ground-fault circuit interrupter) outlets—the ones with built-in test and reset buttons (these are typically installed in kitchens, bathrooms, and laundry rooms where water might be present). In my images, you’ll notice the colors of the outlet covers don’t match the outlets. SnapPower only sent samples of its white outlet covers, but the company does offer light almond and ivory options if that’s what you need. 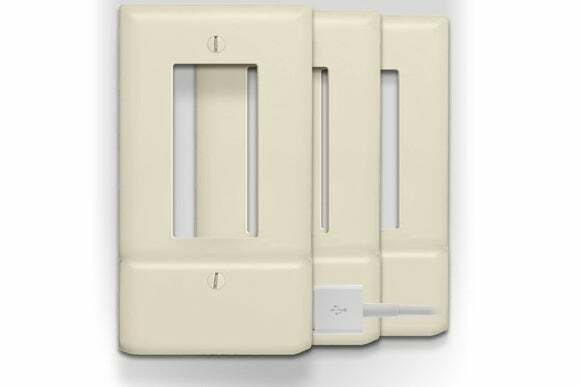 There’s also a “Decor” variant with a rectangular receptacle cutout (compatible with Leviton’s Decora receptacles). SnapPower offers a “Decor” version for rectangular receptacles. The SnapPower Charger does have one notable downside: It’s only a 1.0-amp charger, which means it’ll charge your phones and tablets slower than most wall warts will. Most USB chargers deliver 2.0 amps or more (the charger for the Nexus 6P smartphone produces 3.0 amps to activate that phone’s quick-charge feature). Using an app to record battery levels, my Nvidia Shield Portable’s 7350mAh battery took one hour and 56 minutes to reach the halfway point using SnapPower, compared to one hour and 26 minutes with its native power adapter. The full charge took four hours and 34 minutes on SnapPower, versus three hours and 26 minutes with the standard power adapter. That’s a total of one hour and 8 minutes of additional charging time with the SnapPower. The Nexus 5X has a much smaller 2700mAh battery, but also includes fast charging capabilities through its USB-C port. Still, the difference in charging time was less pronounced. Reaching halfway took 50 minutes with SnapPower, and 30 minutes with the power adapter. A full charge took two hours with SnapPower, and one hour and 31 minutes with the adapter. That means the phone needed an extra 29 minutes to reach capacity with the SnapPower Charger. The bottom line is that if you’re in a big rush, you’ll still want to break out the wall wart. But in most cases SnapPower’s USB port should be fine. From a design standpoint, the SnapPower Charger does have a few other minor drawbacks. Because of its size and its use of a single screw, the cover can jiggle around a bit when you’re connecting or detaching a USB cable. Combined with the matte plastic finish, it just feels a bit cheaper than a regular cover. The raised area housing the USB socket might also preclude you from plugging a larger power adapter into the receptacle directly above it. The bigger question is whether you need a SnapPower Charger in the first place. You might, if you have an outlet whose main receptacles are usually occupied, and you want an extra charging port without adding a bulky wall tap or a surge protector. The side-facing port could also be useful if your outlet is behind a piece of furniture, as the USB port requires less clearance than a wall wart. But mostly, it’s a neat idea, and a cheap way to make your average wall outlet—something I’d never even consider writing about—just a bit more useful.